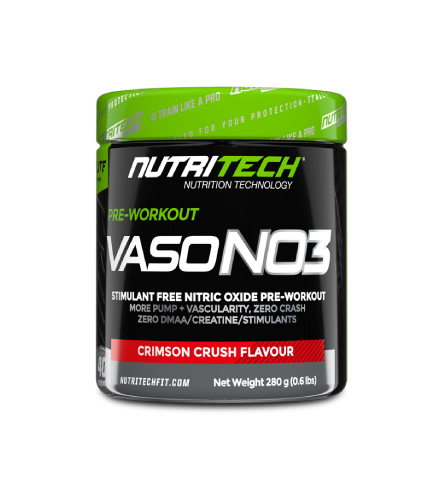 NUTRITECH VASO-NO3 is an ELITE, Nitrate based pre-workout designed to deliver mind-blowing pumps, expanding blood vessels and increasing blood flow to the muscles. 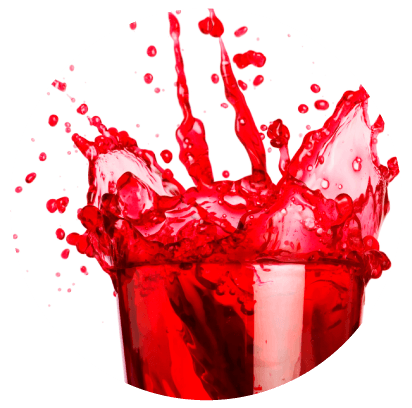 Nitrate (NO3) is an advanced compound that amplifies the effectiveness of anything it is consumed with. L-Arginine is powerful precursor to nitric oxide which promotes vascularity, size, strength and growth hormone levels. 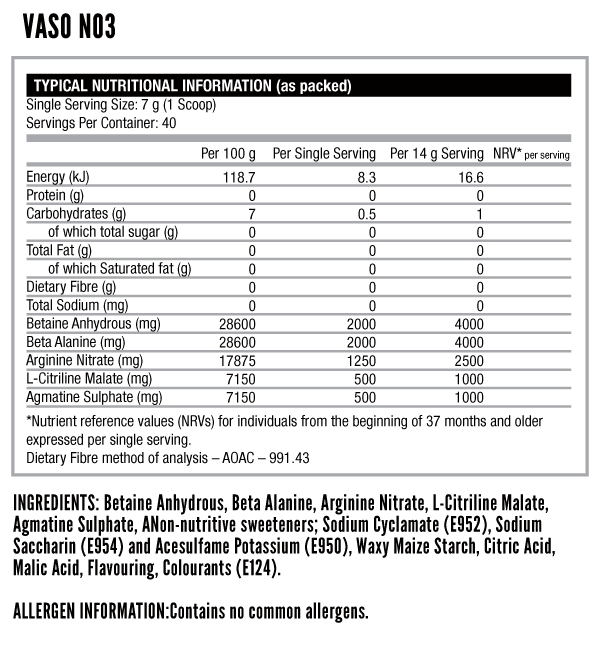 With NUTRITECH VASO-NO3, L-Arginine has been fused with Nitric Acid to create Arginine Nitrate. 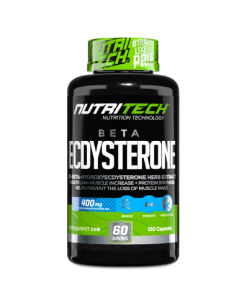 Arginine Nitrate provides a longer lasting boost in Nitric Oxide, energy levels and pump than any other compound. 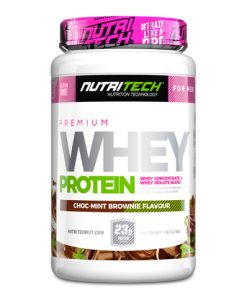 NUTRITECH VASO-NO3 contains no stimulants, no creatine and no banned substances, making this product safe for use by professional athletes. 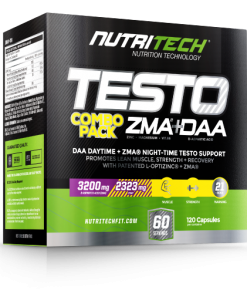 As a dietary supplement, mix 1-2 scoops with 250ml-500ml of cold water. Shake thoroughly and drink 20-30 minutes prior to workout, on an empty stomach. Establish personal tolerance with one scoop first, never exceeding two scoops per day. 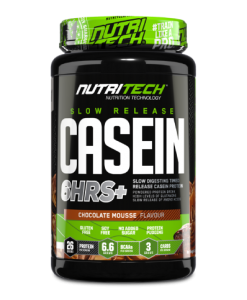 Can be taken on non-training days to boost Nitric Oxide and energy levels. Every now and then when our Athletes take a break from flipping tyres, other athletes and going hard at the weight buffet, they pull into NT HQ to run up our R&D team with real world product performance feedback. Athletes who compete in a world of milliseconds require supps that can go toe-to-toe with the most militant of workouts. 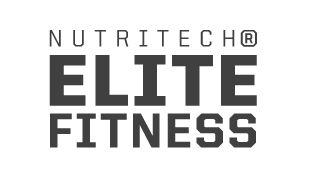 The NUTRITECH® ELITE FITNESS arsenal has been forged to elevate performance and recovery in a constantly varied approach to training, intensity and functional movements. 1 – 2 scoops with 250 – 500ml of cold water.